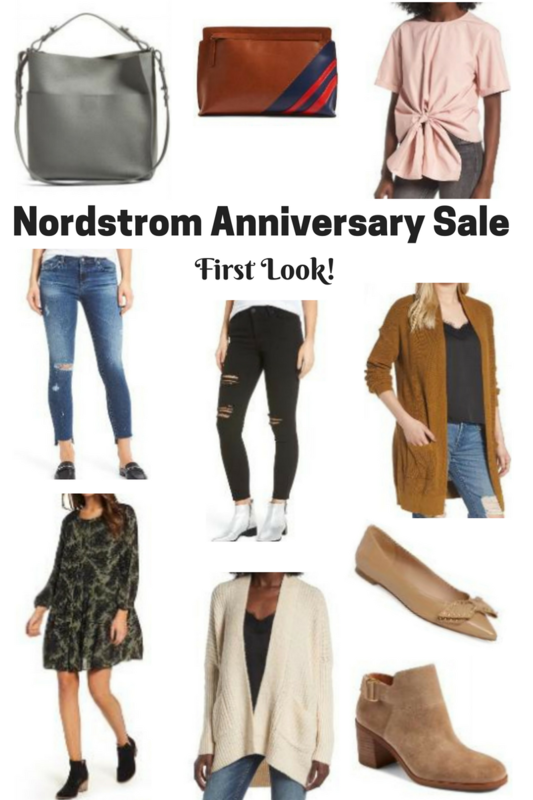 T'was the night before the big Nordstrom Anniversary Sale!!! Are you ready? We are here to help and show you all of our favorites! Here is a sneak peak of what will be on sale. Not everything of course, just a quick first look. 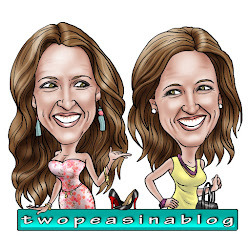 We will continue to share our first impressions, first loves of the sale and what we buy throughout the entire sale. Keep checking back for more posts and info. And be sure to follow our instaStories. We'll be sharing our shopping experience. So what should you be prepping for? Think anything and everything you need for the Fall! Cardigans...booties...boots...jeans...sweatshirts...sweaters...and more. Last year, we bought a few booties each during the sale!! 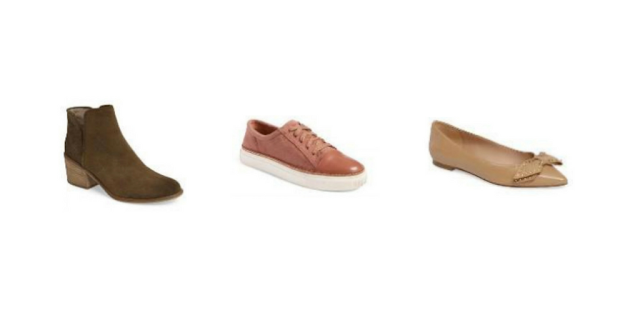 This year, we are also looking for everyday flats, like these cute bow flats, and sneakers. Sneakers are still a huge trend and lets face it, so comfy!!! 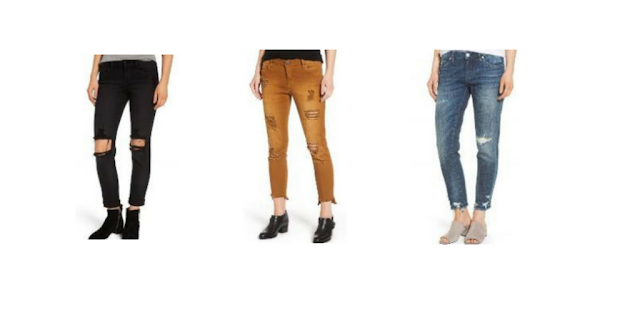 Shopping for jeans is always a must during this sale. 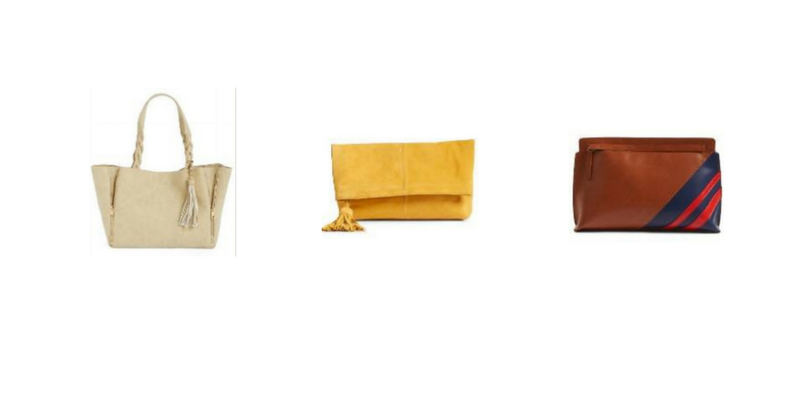 It's a great time to find pricier brands at a discounted price. Or just stock up to last you through Winter. Another great item to look for? Bags!! So many great options. Again, a great time to get a designer bag for a better price! I love the color of this yellow clutch and the style of the stripe bag!! 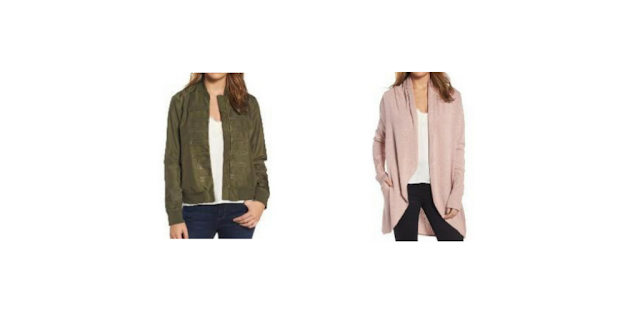 One of the best things we love getting during the sale are cardigans!! We layer them over everything and wear them all Fall and Winter! Last year, bomber jackets were so popular and we think they will be again this year. How cute is this olive bomber? On our list is this blush pink circle cardigan! It looks so soft and cozy. Sweaters, sweatshirts and cute tops!!! All can be found during the sale. This years top trends? 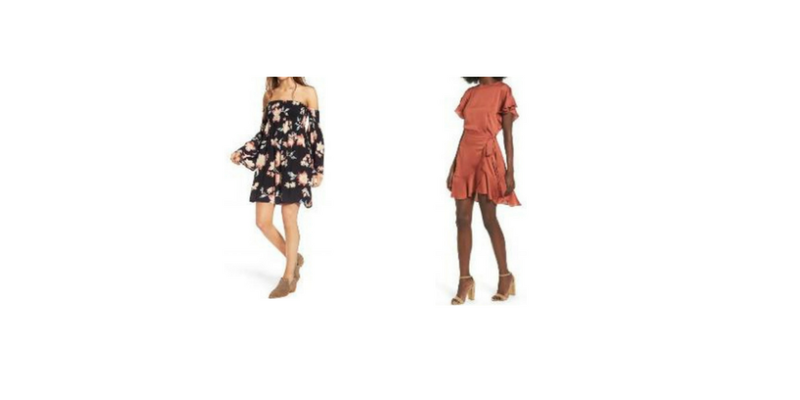 Ruffles, peplum and bows! 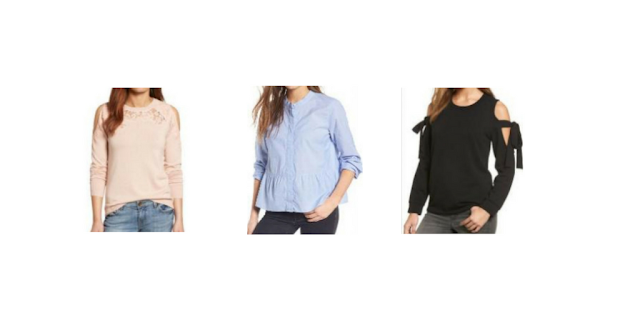 I love all 3 of these tops below and they are all on my shopping list!! Last year, I bought a long sleeve floral dress during the sale, and it was my go-to all Fall and Winter long. I wore it alone while the temps were still warm, layered a cardigan over it once it cooled off, and added cute booties for a Fall touch! A dress is for sure on my list again this year.